Through our innovative partners, we can offer a full range of mortality policies that can be tailored to meet your insurance objectives. Deductible and non-deductible all risk of mortality policies are available along with specified perils policies. First season infertility packages can be tailored to meet the needs of any stallion owner. Clay Ward is uniquely capable of providing the insurance capacity for stallions in any price range. To protect your investment, Prospective Foal Coverage covers a foal in utero (at 42 days or after) until a specified time after birth. This period can vary from policy to policy, generally 48 hours, 30 days or one year after birth. Working with the world's leading equine insurers such as Lloyds of London, Great American, NAS/Swiss RE, X L Catlin, Markel, Clay Ward can meet any insurance need you might have, including the development of customized programs for individual clients. 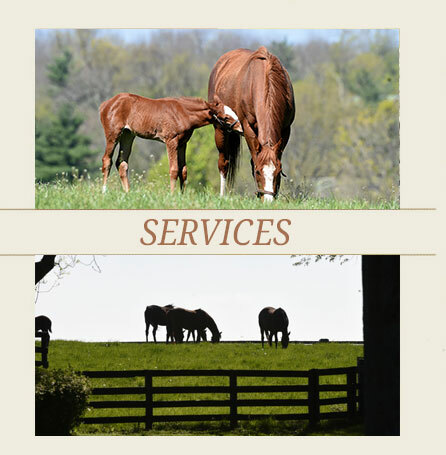 Our experience and insurance network makes Clay Ward a valuable resource for any thoroughbred owner.